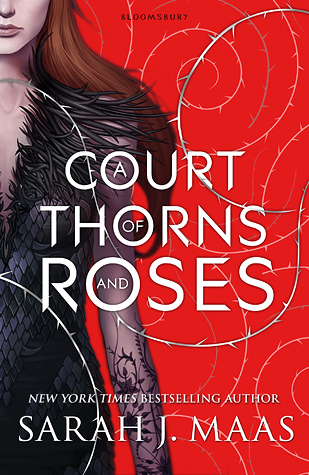 A Court of Thorns and Roses took me on an interesting journey. Let’s start with the main thing I loved, which is the settings. If nothing else, this book did not fail to deliver when it came to world building. My goodness! Can I live in Prythian, please? Just make sure that I have plenty of access to ash wood weapons or a beautiful High Lord to protect me … either will do. The detailed, colorful descriptions were amazing. I can just imagine myself in the gardens, or the glens, in the forest, or under the mountain. Even the mortal realm, in all of it’s bleakness and poverty, was beautifully written. I particularly liked that each of the seven courts in Prythian were so distinctive, but still simplistic. I’ll be honest. I didn’t fall in love with the characters right away. Actually, it wasn’t until the end that I started to feel some type of way about most of them. My favorite is Lucien. He was the only one that felt real and genuine from the very beginning. Not to mention he’s hilarious and I admire his loyalty to Tamlin and his friends. Feyre… I’m still not sure how I feel about Feyre. I liked that she was flawed and even a bit lot bitter. I did appreciate that she was cautious and she used her wit most of the time. On the other hand, she also made a lot of dangerous and ultimately stupid decisions for no really good reasons other than being hot headed and stubborn. I like Tamlin’s strength and his genuine goodness, but his ability to defend his people and be ruthless when necessary. And Rhysand, everyone’s favorite antagonist… I hated him for 98% of this book. Notice that “hate” is in the past tense. Even the minor characters had huge roles to play, and they had families, hopes and wishes, heartaches, and things to overcome. My biggest issue with this book was the pacing. It’s a straight-up romance with fantasy creatures and magical elements, which is great if you like romances. If you don’t, it might be hard to process the majority of the book since it’s almost all about the two main characters falling in love. The story is told from Feyre’s first person point-of-view, so unfortunately even when Tamlin goes off to battle the evil fae and other magical creatures, the reader doesn’t get to see those scenes. The action doesn’t really get going until the last 100 pages, but they were really well-written and descriptive and creative scenarios. Even though this book had some elements and issues that I didn’t like initially, I was satisfied with the ending and overall story. Although this is a loose Beauty and the Beast retelling, this book gave me major Twilight -but with faeries and much better writing- vibes. And like Twilight, there’s just something about this story and these characters and the world that’s entertaining and intriguing and leaves you craving for more.